Polaris Global readers, I’ve been on a bit of an inspiration spree this week. Setting up goal after goal, high targets, big ideas and bold decisions. So exciting! I feel like I could tackle any challenge. But I know all too well, that if I let the ball drop, and my focus wains, my results will start tilting and before I know it… deadline is missed! Polaris Global’s success education program Beyond Freedom Evolution has saved me. Multiple times! Whenever I lose my way, hit a roadblock or lose my compass heading, I turn to my trusted BFE eBooks and find the solution to keep me on track to my goal. Sustaining motivation for a long-term goal is hard to achieve (duh!). BFE solution – create a new habit, belief and mindset that will lead to achieving your goal by breaking it into manageable pieces. 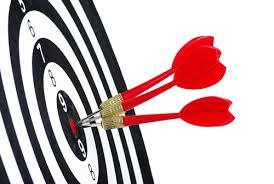 Set realistic targets, focus on the small steps, and before you knows it you’ll be at the success finish line. It totally works! By breaking down your goal into what you have to achieve each day has made a HUGE difference to me. A simple daily to-do list has delivered me to so many wins. I’m focusing on something I can obtain. That little daily change adds up to a huge change over time until you’re surprised at how far you’ve come. Best BFE advice… Don’t try to change the world, take baby steps at first and before you know it you’re winning! Hi Amy and thanks for that timely reminder, I was just resetting my goals last night. You have made me think about them in more depth, good advise to take those baby steps sometime we just try to do something too fast and just go back wards instead. I think they call it the “Swiss cheese” method. Just make little holes in your mountain of a goal! Didn’t think there was anything to it before BFE but oh! what a win when you accomplish that little bit . It’s definitely the way to go for me now. Thanks for sharing your wins! I love to use the 10minute tasks in Beyond Freedom to assist with my bigger tasks, breaking it down into tiny bite size pieces makes it a whole lot easier to tackle – and really, 10minutes of focused energy repeated often can & does create amazing change! Goals. Sometimes they can get your eager raging up so high that you forgot to do the simple small steps first which ive been through but had to tackle. Making a decision isn’t the same as changing a habit but you can if you take the actions.